Continuing my BR shopping spree from week ago, I acquired these unbelievably comfortable pair of faux-suede pants after my doubtful self randomly decided to try them on for size. I didn’t want to take them off! These riding-style pants are soft to the touch, and add a little bit of diversity to my otherwise black legging and jean-dominated bottoms wardrobe. 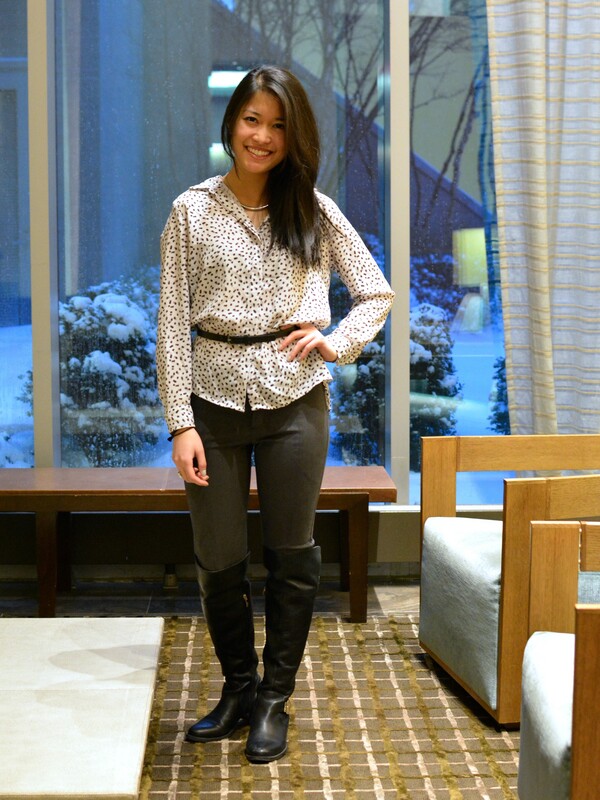 Embracing the innate equestrian look of the suede pant, I threw on some over-the-knee riding boots and a gray and black patterned button-up long sleeve to complete the outfit. Belted or unbelted, it makes for a classic and comfortable combination that is perfect for everyday wear. 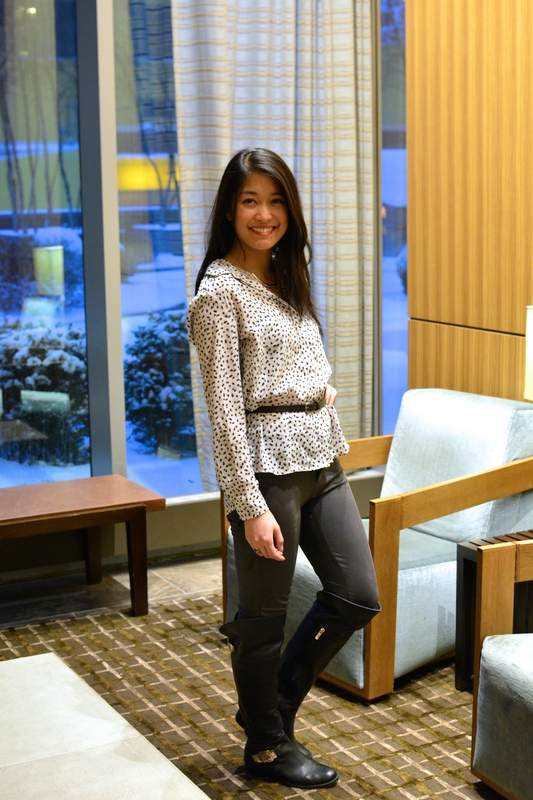 I’m looking forward to flaunting these pants with a pair of heels and a sleeveless flowy top when the weather warms up! 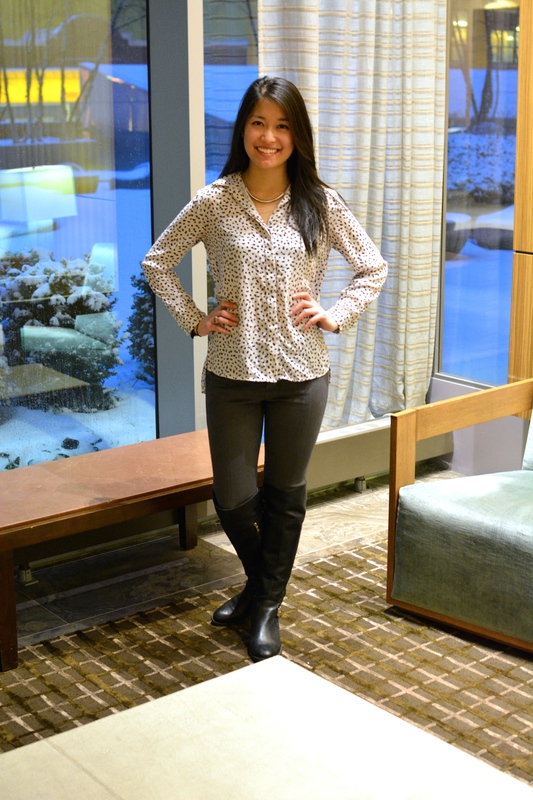 It’s a versatile pant that can be dressed up or down, and worn across seasons.